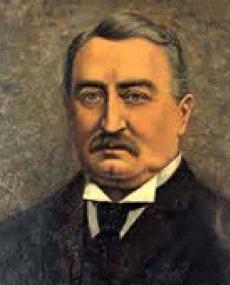 Cecil John Rhodes rose to a position of great wealth and power in Britain’s Cape Colony in southern Africa. He developed the region’s diamond mines and was responsible for British expansion northward into the land that is now ZAMBIA and ZIMBABWE. The son of a clergyman in Bishop’s Stortford, England, Rhodes left home at 17 to seek his fortune in southern Africa. After a period of farming cotton in Natal, he headed for the diamond fields of Kimberley in the Cape Colony. So successful was he that by age 36 he controlled South Africa’s diamond mines through his company, De Beers Consolidated Mines. He also owned many of the region’s gold mines. Although Rhodes had received a limited education in his youth, he obtained a degree from Britain’s prestigious Oxford University in 1881. That same year Rhodes was elected to the Cape Colony’s parliament, and from 1890 to 1896 he served as the colony’s prime minister. With ambition to match his wealth, he promoted the conquest of African lands north of Cape Colony. That conquest took most of the 1890s and resulted in new British colonies called Southern Rhodesia (now Zimbabwe) and Northern Rhodesia (now Zambia) in Rhodes’s honor. Rhodes’s political power was brought to a sudden end in 1895 by the Jameson Raid. An official appointed by Rhodes staged the disastrous attack on Transvaal, a colony ruled by Afrikaners, white settlers of Dutch origin. The embarrassing failure forced Rhodes to resign as prime minister.